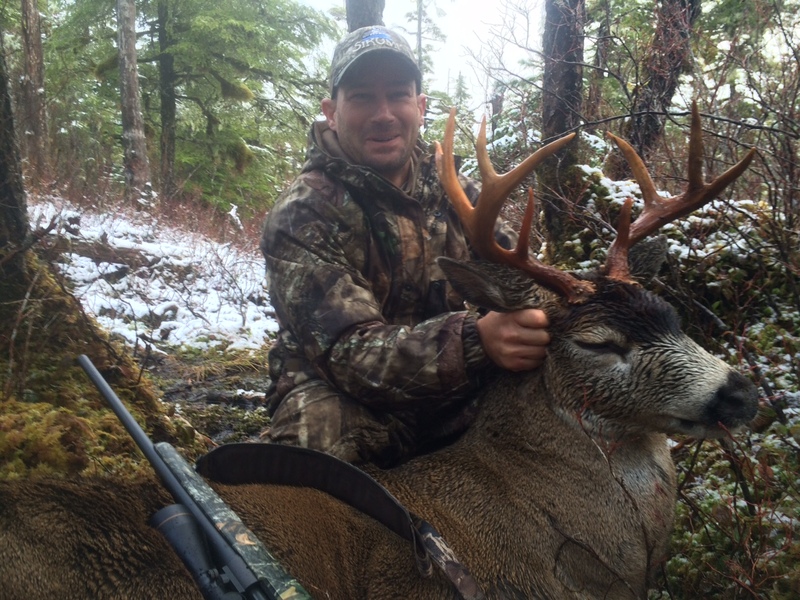 trophy sitka black tail deer hunt. 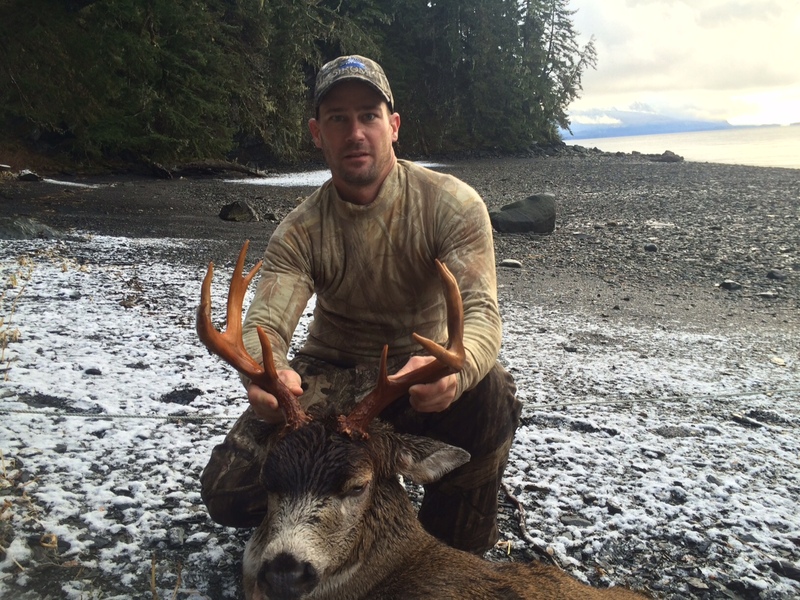 From oceanview accommodations to 5 star culinary experiences, our Alaska Sitka Black tail Deer hunt offers you a truly memorable and unique hunting experience. Our luxury yacht based hunts are dedicated to providing you with an unforgettable hunting experience that will leave you in awe. We have taken 25 years experience and turned it into a great hunt for our clients. We will hunt black tails all over SE, depending on weather conditions, snow fall levels and conditions of the rut. 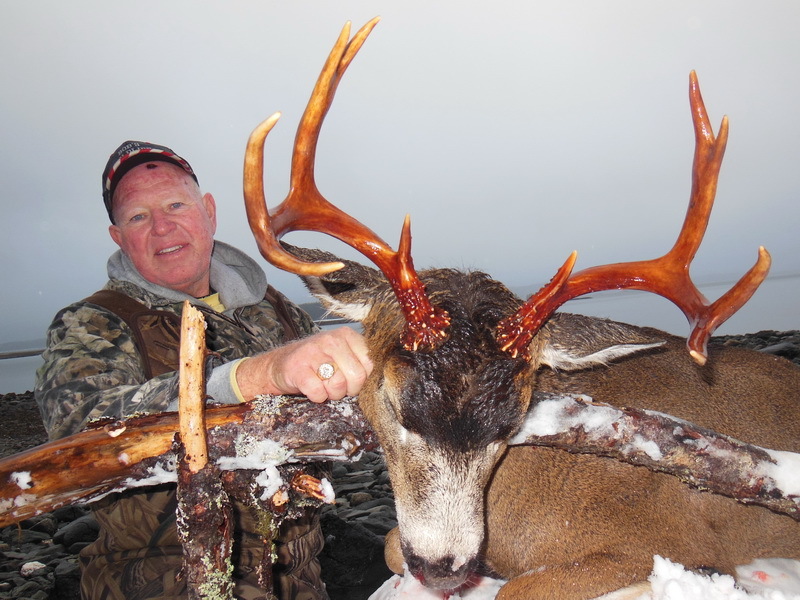 Clients have had a great time hunting these beautiful deer and rarely go home empty handed. 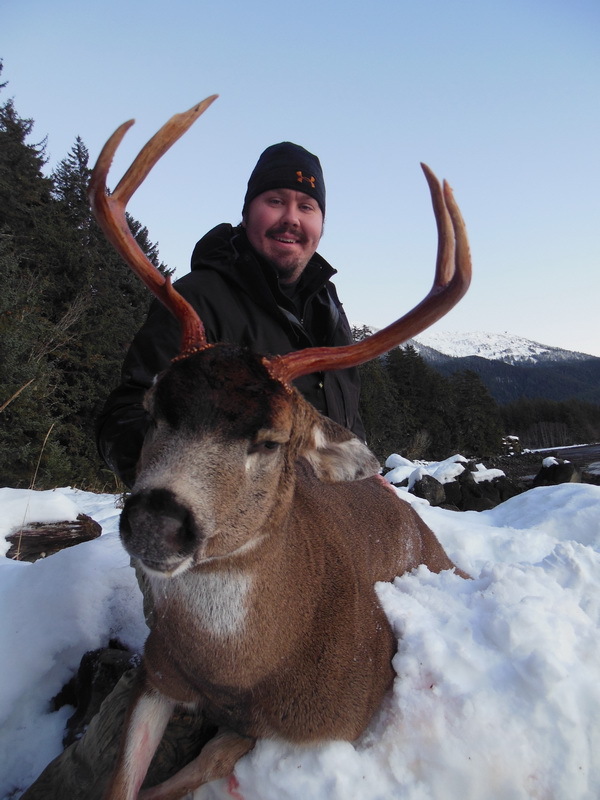 The Sitka Black Tail is found only in Alaska, and some parts of Canada’s pacific coast. These deer are absolutely beautiful and are a highly under-rated trophy. They are a small relative of the Mule Deer, and can be comparable to the Coues Deer in terms of size and trophy. Keegan and his guides put us on plenty of deer and our limit of ducks. I had 3 other hunters with me and not one negative thing to say. Professional and personable guides, excellent accommodations and a world class chef – what more could you ask for. All hunters scored great deer and the duck hunting was exceptional, and at the end of the day a private room with hot shower and comfortable bed. 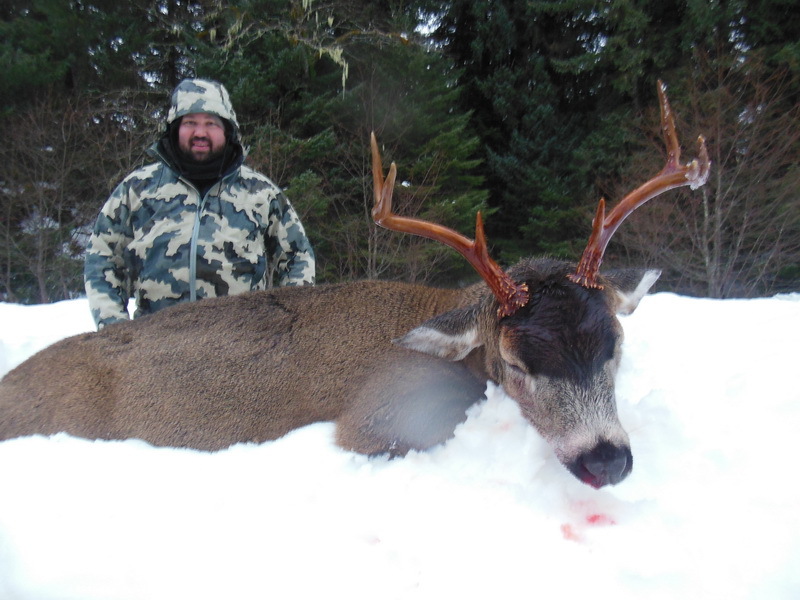 I have already booked my return hunt for brown bear and working on dates to get my hunting partners back for deer! 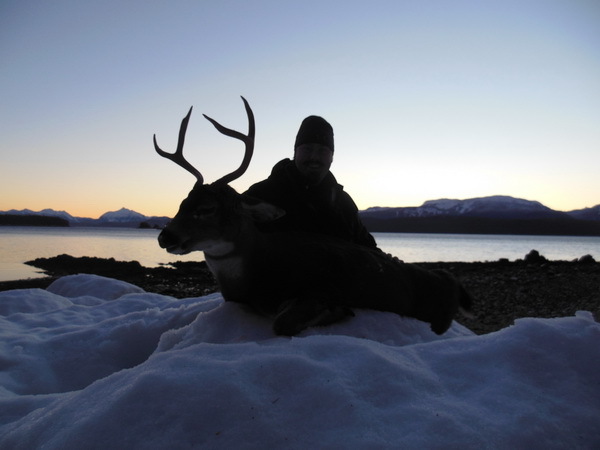 A majestic hunt in the islands of Southeast Alaska hosting the highest density of Sitka Black Tail Deer in the world! These, as with most all of our hunts, are a yacht based hunt. You will stay nights aboard our luxurious 70 foot yacht, and during the day we will use multiple methods to hunt. 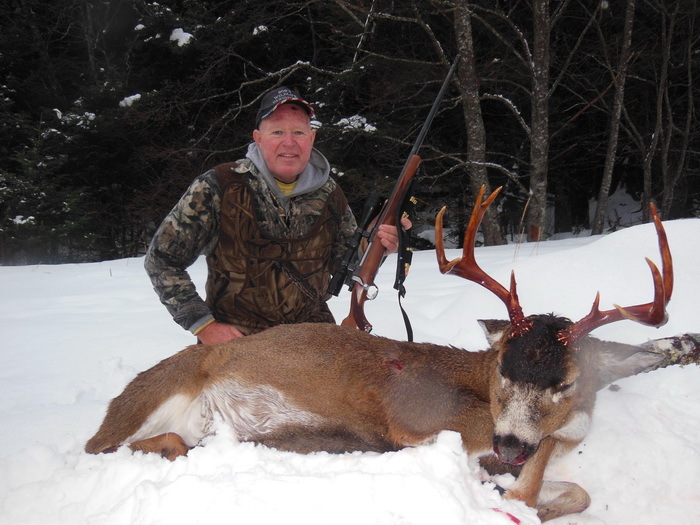 The deers habits are highly dependent upon time of year, snow fall, rut activity and area. 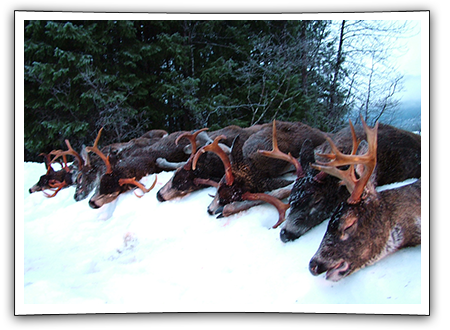 We have found that the best time of year to hunt these trophies is from November 15 through December 15th. 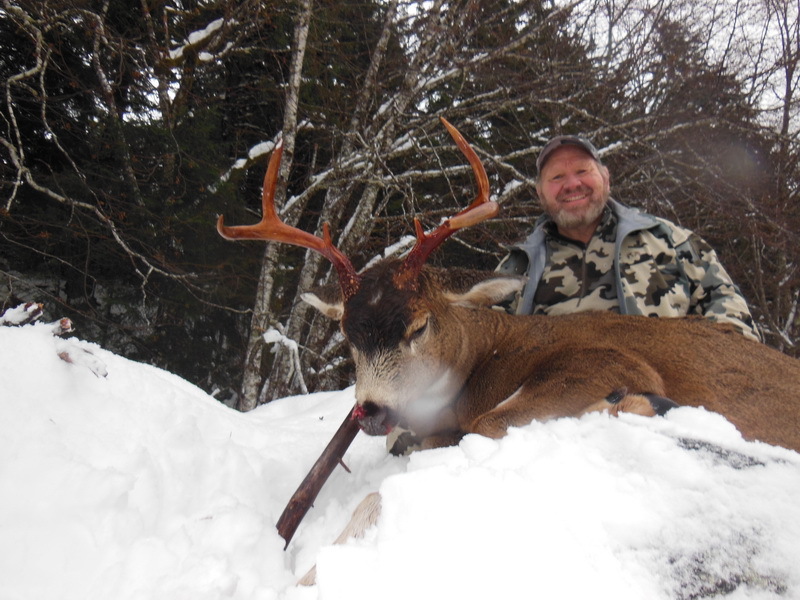 The rut typically kicks in around mid November, but if there is not much snow fall yet then the deer can be widely distributed and we may have to hike into the hills to find them. 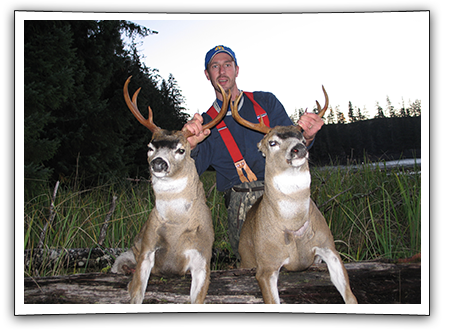 The earlier hunts are typically for those in good physical condition who are ready to spend some time working for their trophy. 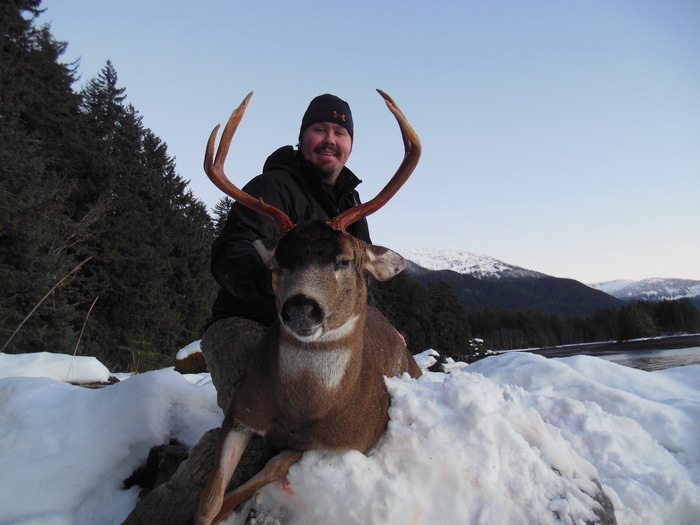 By early December we typically have enough snow on the hills to push the deer down close to the coast line, this can make for some of the best hunting, especially when coupled with the post rut activity. During this time, if the snow levels cooperate, it is not uncommon to see up to 100 deer in a day along the beaches. 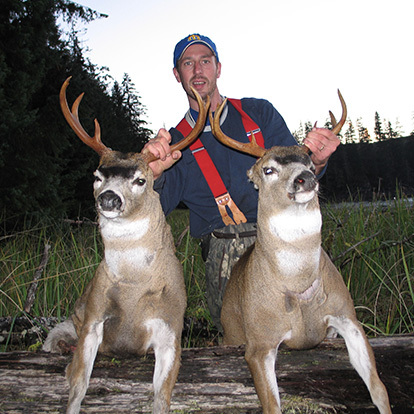 We typically recommend these hunts for clients of any physical ability. 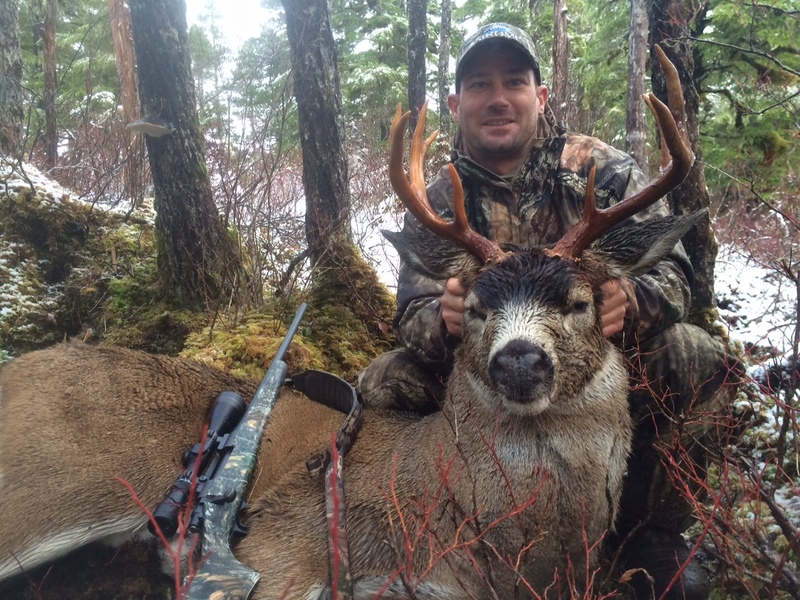 Access is an important factor when hunting deer anywhere in Alaska. We have worked hard to make sure our clients have the best possible access to deer. 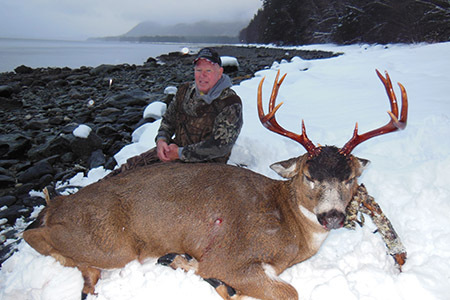 Alaska winters can be very unpredictable, and many hunters who chose to hunt deer in areas such as Kodiak Island, have had their entire hunt ruined by bad weather. While weather is a consideration where we hunt, it is very rare that we have a hunt delayed or cancelled due to weather. This is for two reasons, first, Juneau, our jumping off point, has many flights a day from Seattle, it is uncommon that it is hard to get to Juneau. Second, we have a very large vessel that can handle most conditions, and we do not need to hunt that far from town to be successful. We do also use float planes to access the areas, and again, it is uncommon that we are not able to make the short flight to the hunting grounds. 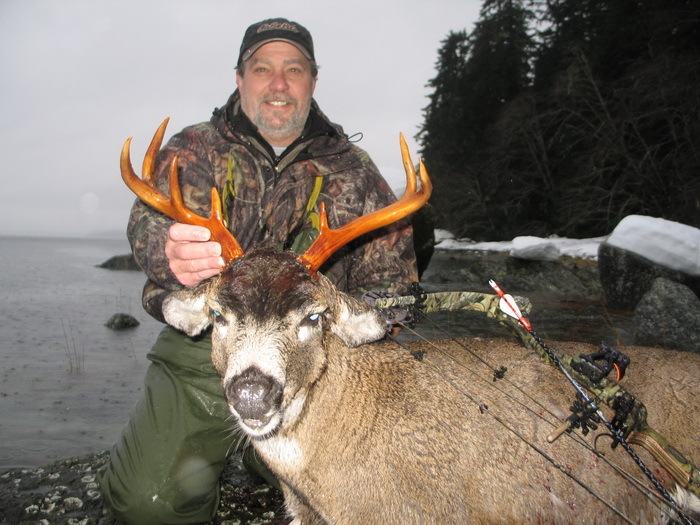 I have heard many stories over the years of hunters trying to be successful on Kodiak, and most are. But if the weather sets in there you are running a high chance of your hunt being lost. 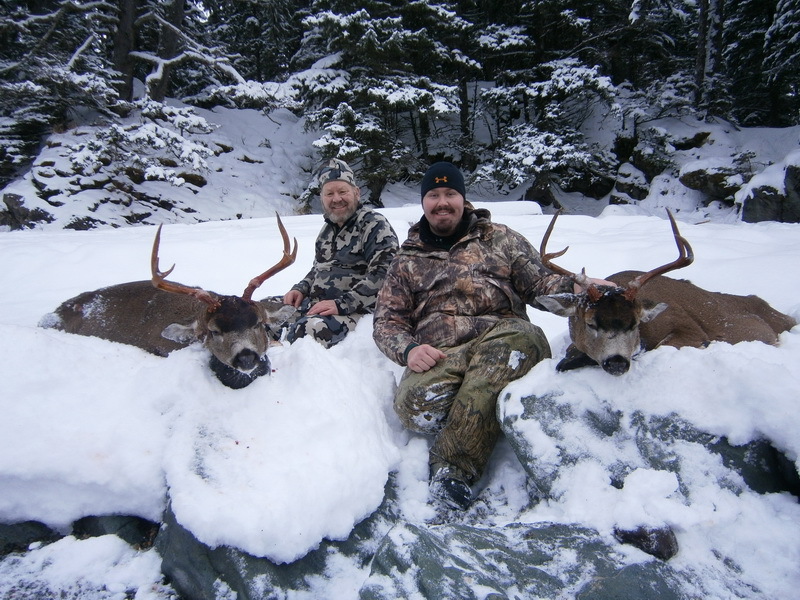 In the last five years we have not had a single hunt completely delayed or cancelled due to weather, and still enjoy a 100% success rate in the last 4 years. For hunters who want the ultimate blacktail deer hunting experience, the MV Sikumi boasts a 5 star chef with personalized meals and ocean view staterooms. 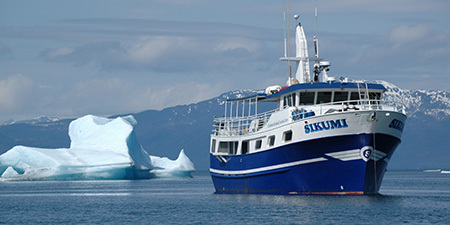 Read more about the accommodations aboard the MV Sikumi here. 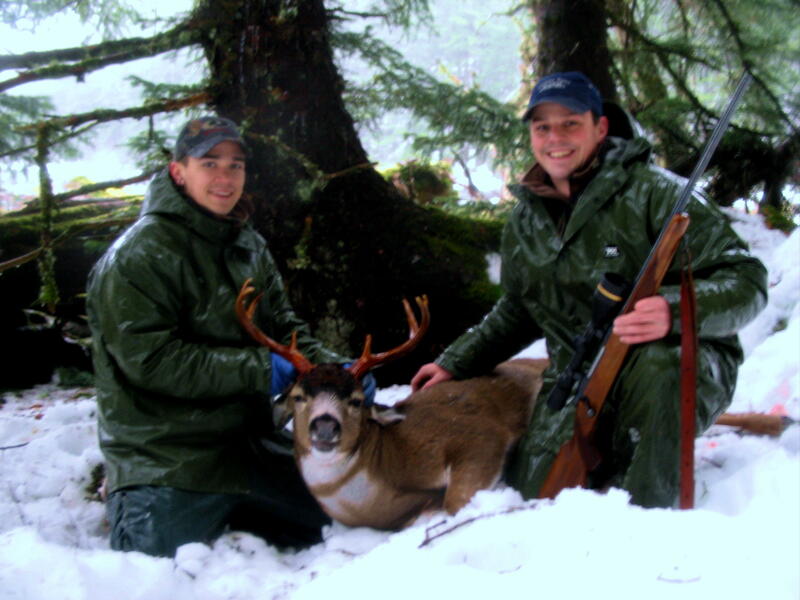 We have taken 25 years experience and turned it into a great hunt for our clients. We will hunt black tails all over SE, depending on weather conditions, snow fall levels and conditions of the rut. 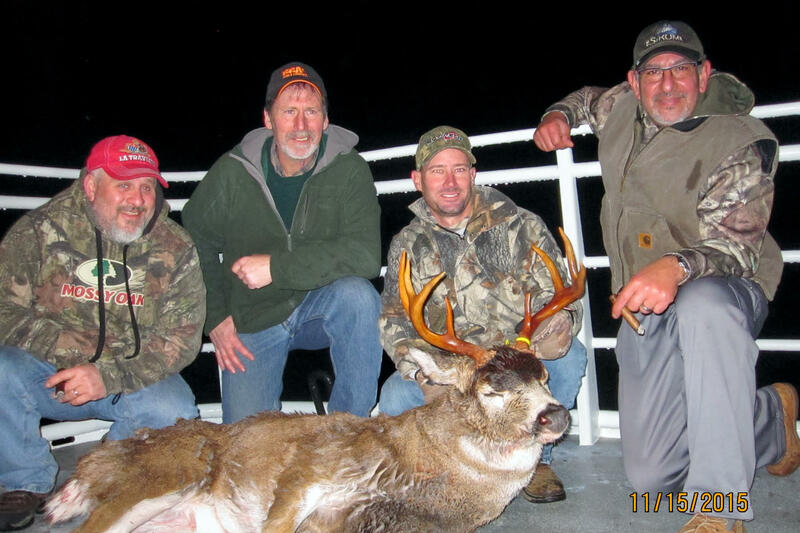 Clients have had a great time hunting these beautiful deer and rarely go home empty handed. 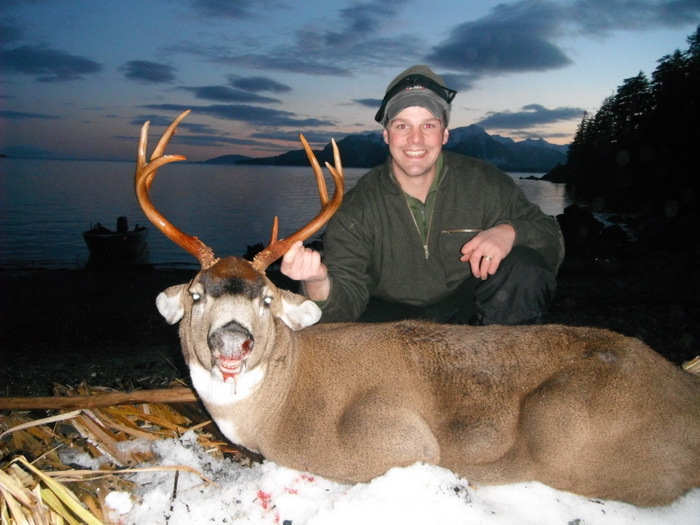 The Sitka Black Tail is found only in Alaska, and some parts of Canada’s pacific coast. These deer are absolutely beautiful and are a highly under-rated trophy. 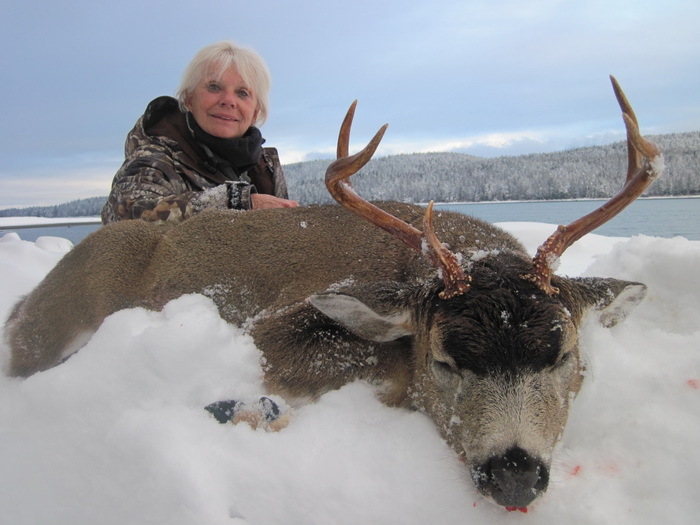 They are a small relative of the Mule Deer, and can be comparable to the Coues Deer in terms of size and trophy.World class deer hunts offered aboard Golden Eagle, Sikumi or Artaios. Each vessel will hunt in a separate unit, but otherwise hunts very similar. POW is well known for B&C deer, while the ABC Islands have huge numbers of deer. All deer hunts include sea duck hunting. Normal Price $8,500 per hunter book today for $7,500! Includes 2 deer per guest plus limit of sea ducks! Further discounts for groups of four or more!